The EURUSD pair remains in range and moving sideways after the ECB and US GDP economic data. After an upside push, the pair bottomed at 1.1620, on Friday that is the lowest since July 19. 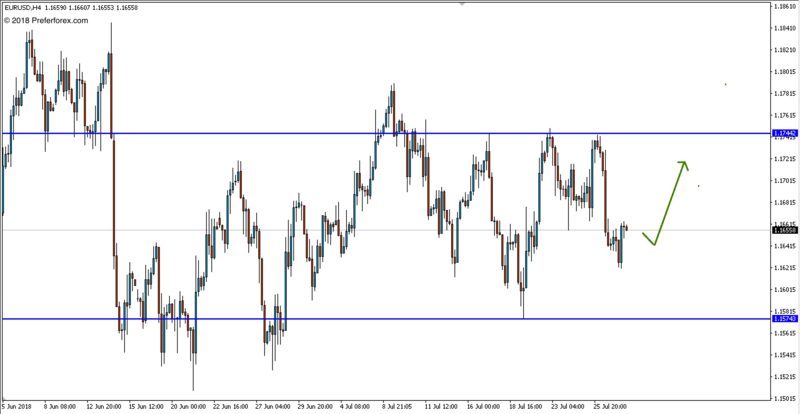 Currently, the strong support at 1.5740 and it’s too early to predict bearish without breaking this support. If the pair maintains this support, we can expect a bullish movement targeting 1.1740. Our Preference Entry at 1.1650 Stop Loss: 1.1570 Target: 1.1740. The European Central bank kept its planned timetable to move away from accommodative monetary policy. After this event the EURO fall sharply. The US dollar strength against all other major currency on Friday. In the comparison of the previous day, EUR fall more than 0.7 percent after the ECB declare. 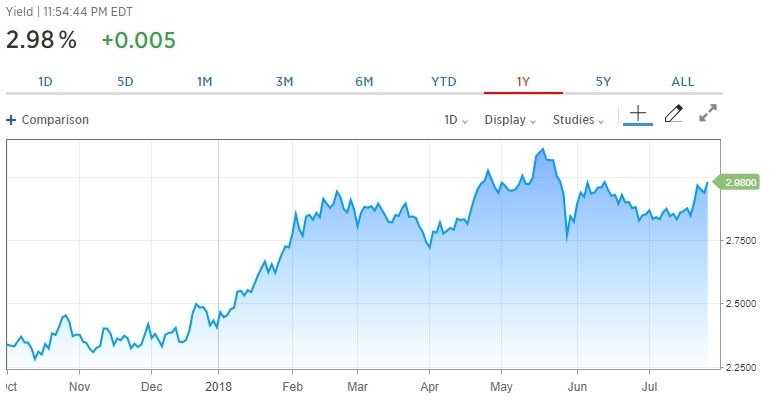 The yield of Treasury note of the 10-year U.S treasury also raised, its near to 6-week high point. As per the dovish tone from the ECB at its meeting subsequently, a sharp decline EUR/USD of -0.74% in one day. Overall fundamentally US dollar is enjoying potentiality. Strong US GDP reported at 4.1%. But the expectation of the bearish phase seems to be too early. Important Data Release for Next Week. The relevant key event for the next week is FOMC and NFP that could volatile the market.